An exciting free event being hosted in Glasgow next Thursday with MIT’s Bill Aulet. The Ask Me Anything session is being hosted to encourage entrepreneurs with scalable businesses to apply to take part in Scotland Can Do SCALE. Bill Aulet is the managing director of the Martin Trust Center for MIT Entrepreneurship at MIT and a senior lecturer at the MIT Sloan School of Management. Prior to joining MIT, Bill had a 25 year track record of success in business himself. He has directly raised more than $100 million in funding for his companies and more importantly has led to the creation of hundreds of millions of dollars in market value in those companies. Bill started his career at IBM getting training and experience in technical, marketing, sales, financial, and international business operations and management. Upon graduation, he resigned from IBM and became a serial entrepreneur running two MIT spinouts as the president/chief executive officer (Cambridge Decision Dynamics and then SensAble Technologies). The latter became a two-time Inc. Magazine 500 Fastest-Growing Private Company. With a presence in over 20 countries, SensAble also won more than 24 awards and was featured in Fortune Magazine, BusinessWeek, The Wall Street Journal, and many other publications for its innovative products and strong business foundation. Today, in addition to his work at MIT, Bill works with individuals and companies to become more successful through innovation-driven entrepreneurship. From single entrepreneurs trying to launch new ventures all the way up to large multi-billion dollar corporations seeking to achieve their goals through entrepreneurship, intrapreneurship, and innovation, the same fundamentals have been successfully applied. He writes as much as possible in places such as Xconomy.com, MIT Sloan Experts, The Boston Globe, the Kauffman Foundation, The Huffington Post and the MIT Entrepreneurship Review. Scottish entrepreneurs with potential to scale-up their businesses are being offered world class training from Massachusetts Institute of Technology (MIT) and Harvard Business School with Scotland Can Do SCALE. The programme has two strands, an introductory online course teaching how to put customers at the heart of a business and a residential summer school. Applicants must complete the online course (four modules each taking around four hours) to qualify to apply to summer school. Everyone taking part will be supported by Scotland’s exceptional entrepreneurial ecosystem to develop and grow their business. Funded and delivered by Highlands and Islands Enterprise, Scottish Enterprise and the Scottish Funding Council, and sitting under the Scotland Can Do government banner, the programme will inspire entrepreneurs to grow scalable businesses. The deadline to complete the online course and qualify to apply for summer school is 29th April. To sign up visit the www.cando.scot/scale website and click sign-up today. Women in IT wanted to attend an Interconnect event on 29th January to network with students. Can you help? ‘Start Up Your Digital Career’ is being held on Wednesday 29th January at the Informatics Forum, University of Edinburgh. This event is being held in conjunction with Harvey Nash Scotland staff who will deliver an interactive workshop for students from 11am-12:45pm covering topics such as CVs, interviews and networking. We are looking for women working in IT to participate in a networking lunch with students from 12:45 until 2pm. This will give students an opportunity to practice their networking skills and to hear about your experience working in technology. If you would like to support women studying computing and are available from 12:45pm until 2pm on 29th January we would love to hear from you. Please contact Cheryl Cairns at c.cairns@napier.ac.uk for further information and to register. 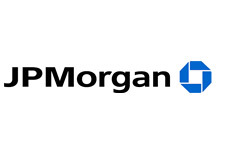 JP Morgan sponsors “Be in the Driving Seat of Your Own Career” an event aimed at females working in the technology industry across Scotland. How fulfilled are you in your life and career? What would you attempt to do, if you knew you could not fail? It’s time to tackle the internal barriers that might be holding you back from a richer, more satisfying life and career – whether that’s in your current job or a new one. Maggie has held positions at CIO level across large-scale organisations in both the oil & gas and construction sectors for many years. Maggie will deliver an insightful talk on her own career journey and explore how a technology career can mean many things to many people. How now, working as an independent consultant allows her to combine business and technology roles. In addition Maggie will share some of the methods she uses to remain in the driving seat of her own career. Kirsty is an empowering leader , a thought-provoking catalyst for change and a unique creator of strategic partnerships. By founding Firefly in 2011, Kirsty has a proven track-record of enabling others to achieve the clarity, insight, and momentum they need to take a clear step toward individual and organisational change. Kirsty will support you in identifying where you get to in your own way and in taking steps to move forward in the direction you choose. Could it be that 2014 is the start of the next phase of your career? Following the above sessions, we will host a Q&A panel discussion which will also include Polly Purvis, Chief Executive of ScotlandIS. The trade body for the information and communications technologies (ICT) industry, Scotland IS represents around 200 software, telecoms, IT and creative technologies businesses throughout Scotland’ to read ‘The trade body for the digital technologies industry, ScotlandIS represents over 270 software, telecoms, IT and digital agencies throughout Scotland.